Brandon University » News » Why Not Be a Doctor? 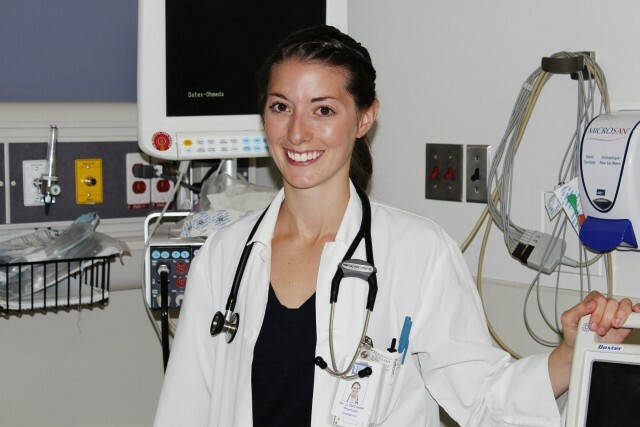 Born in rural Manitoba and raised in Brandon, Jillian is small-town modest but brilliant, earning a medical degree in six years compared to eight to ten for most Canadian doctors. After working for a year in New Brunswick, Jillian decided to return to school. “I scored really well on the Medical Colleges Admissions Test (MCAT),” and enrolled in the accelerated medical program at McMaster University in 2007. This article first ran in the Winter 2013 issue of Alumni News, a bi-annual publication produced by the Department of Institutional Advancement.